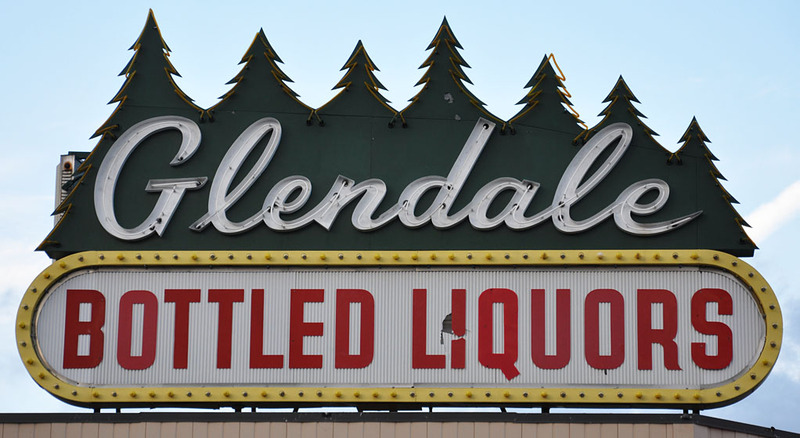 The Glendale Package Store and sign were built in 1954. The pine trees represent the original owner's seven children. This photo is from 2011. 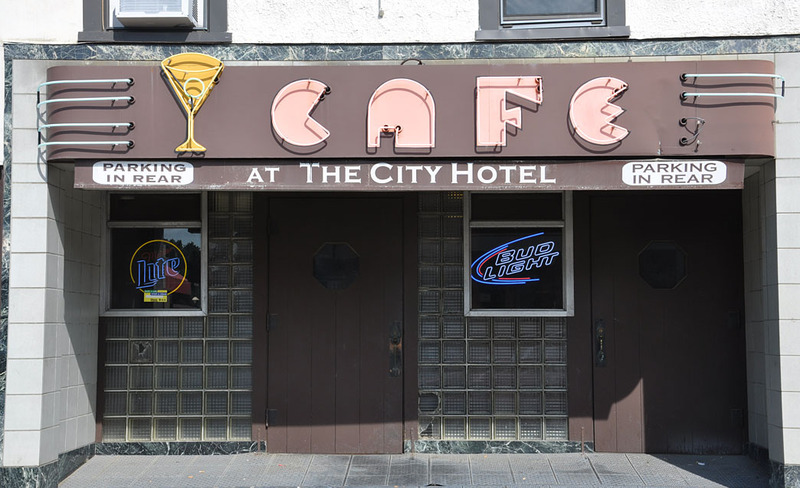 In 2015, the building was remodeled by new owners and the sign was removed. 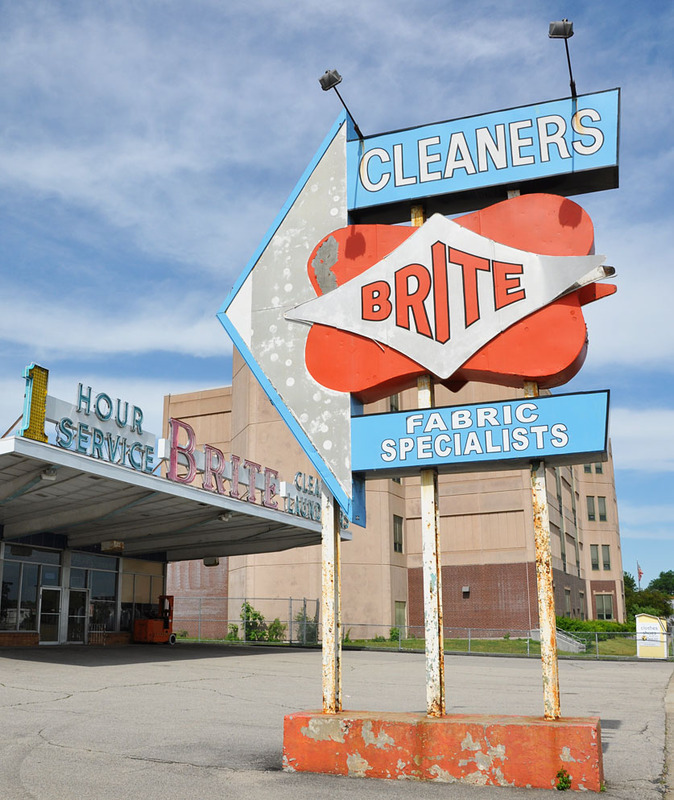 The City has the sign in storage and is looking for a home for it. 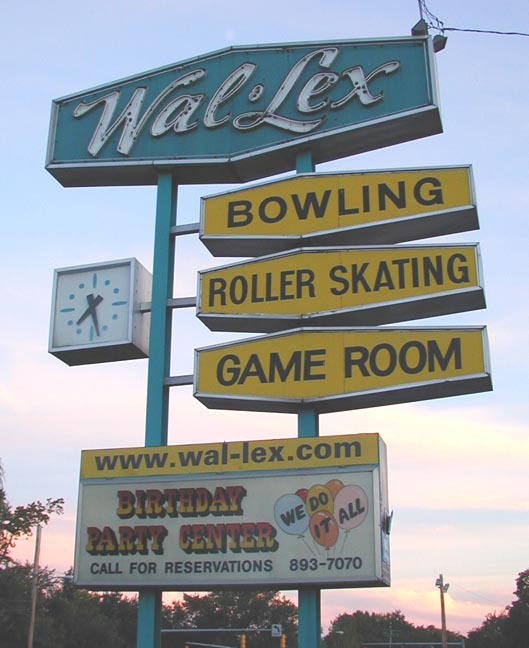 The Wal-Lex Recreation Center opened in 1947 as a bowling alley and restaurant. 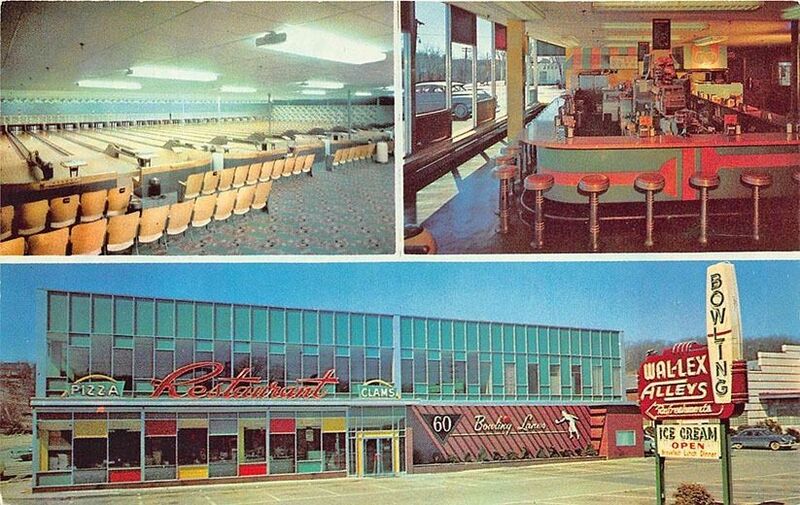 There was originally a different, candlepin neon sign there with a bowling alley and restaurant. Another building with roller skating was added in 1950. 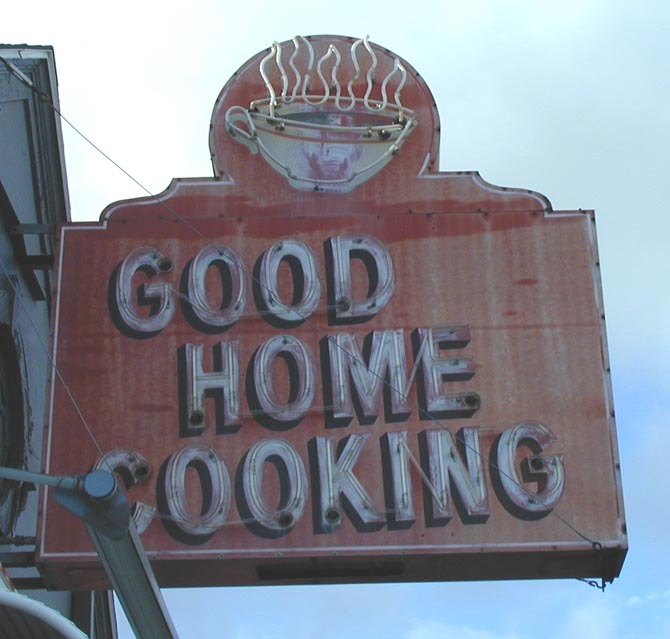 This sign was probably from the 1960s. This photo is from 2001. Around 2002, the site was redeveloped as a strip mall. 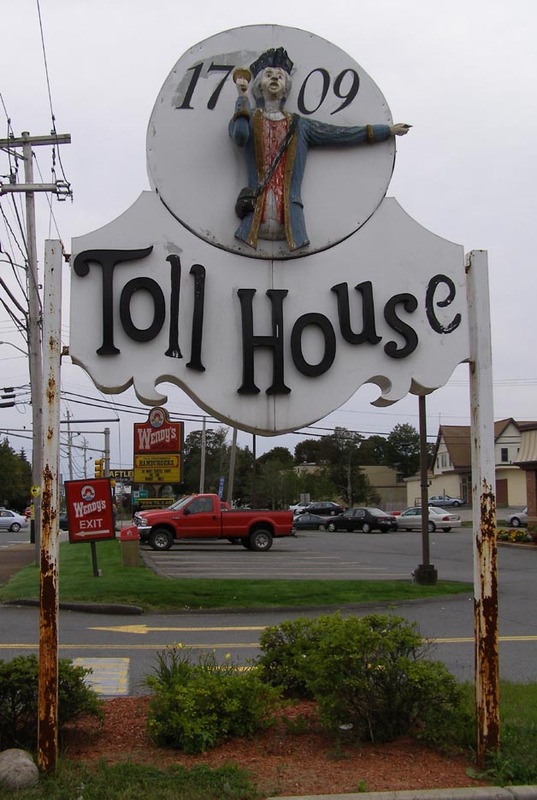 The building and sign are gone. 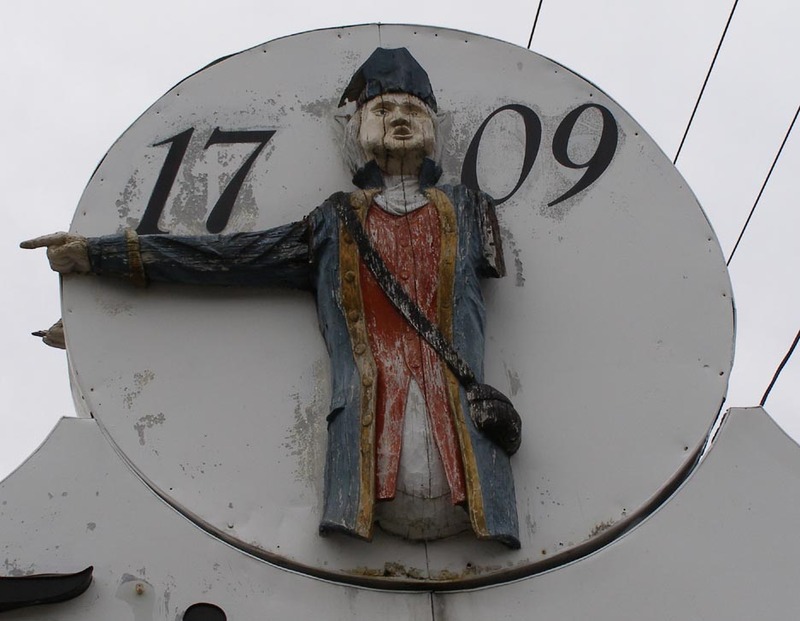 This Galley Restaurant opened in 1975 and closed in 2008. 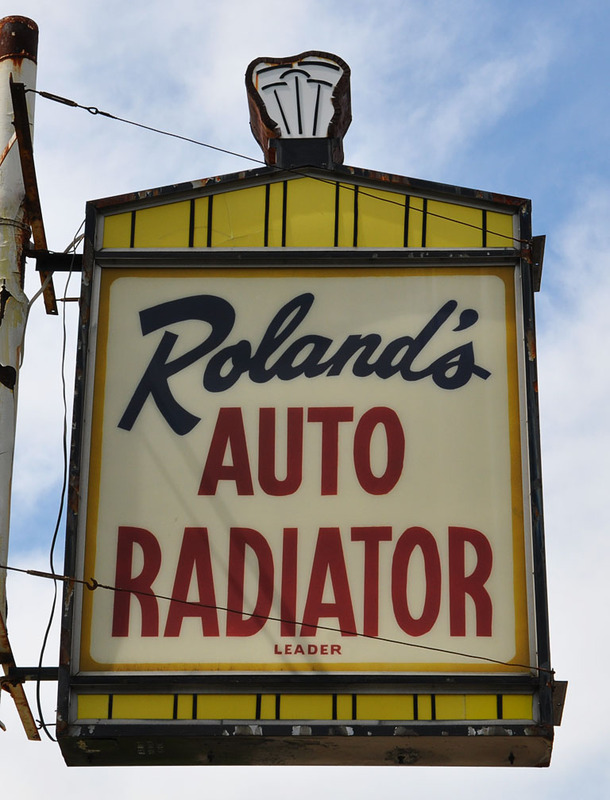 This sign was adapted from a previous business. 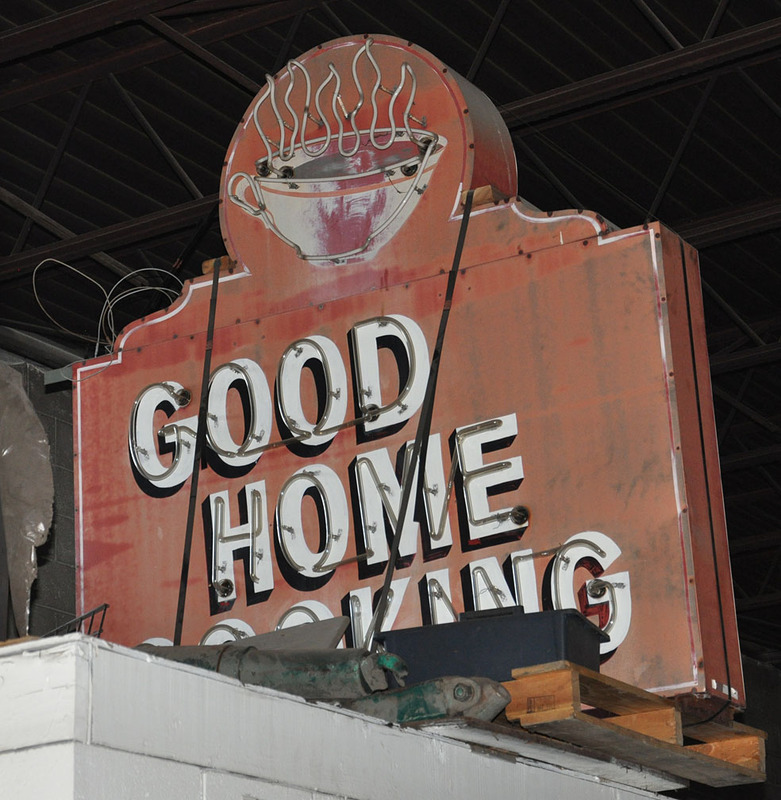 After it was removed, it was put in storage at Red's Towing & Repair Service located next door to the former restaurant. 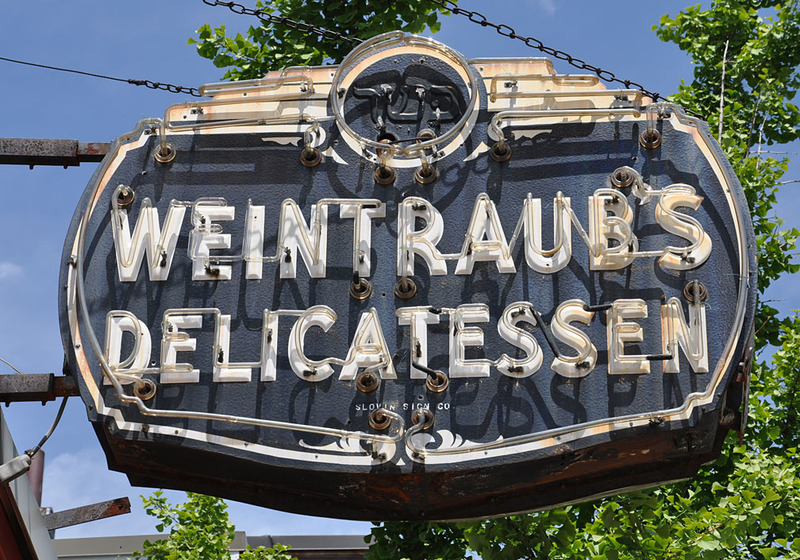 In 2012, the sign was sold at auction. For more, see these websites: 1 and 2. 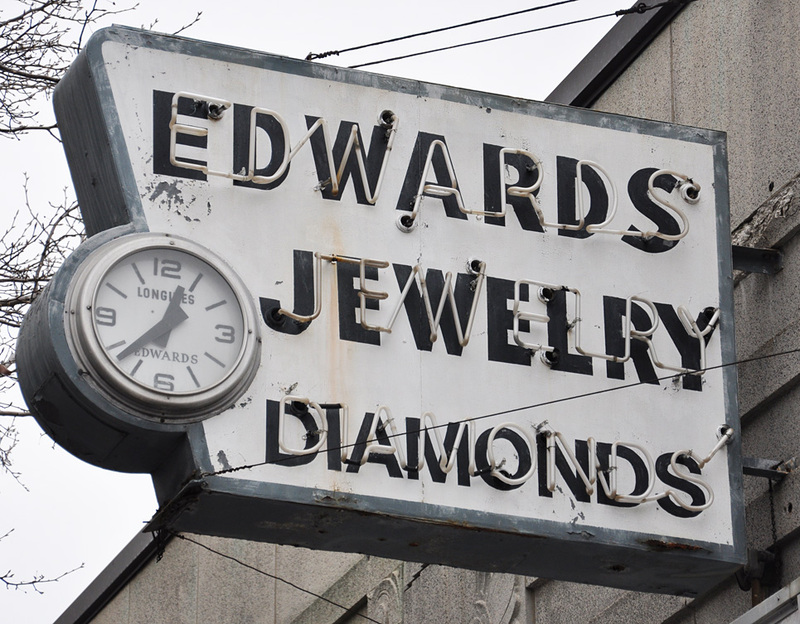 Edwards Jewelry had been here since around 1929. 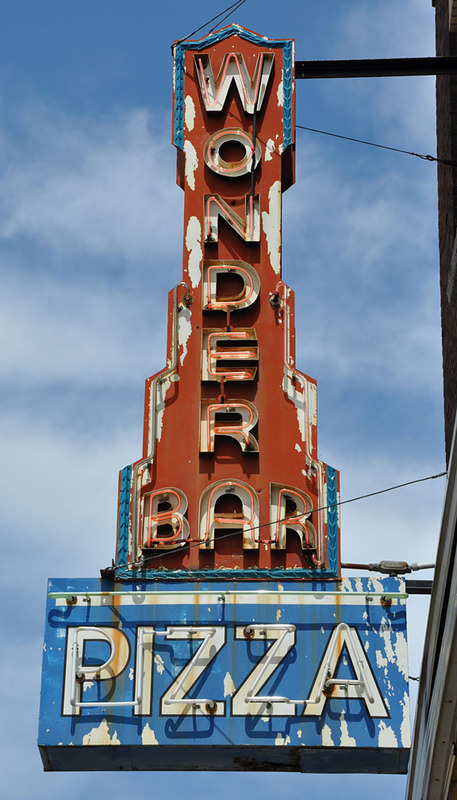 When this photo was taken in 2009, the sign's clock was still working and the neon seemed to be in good shape. 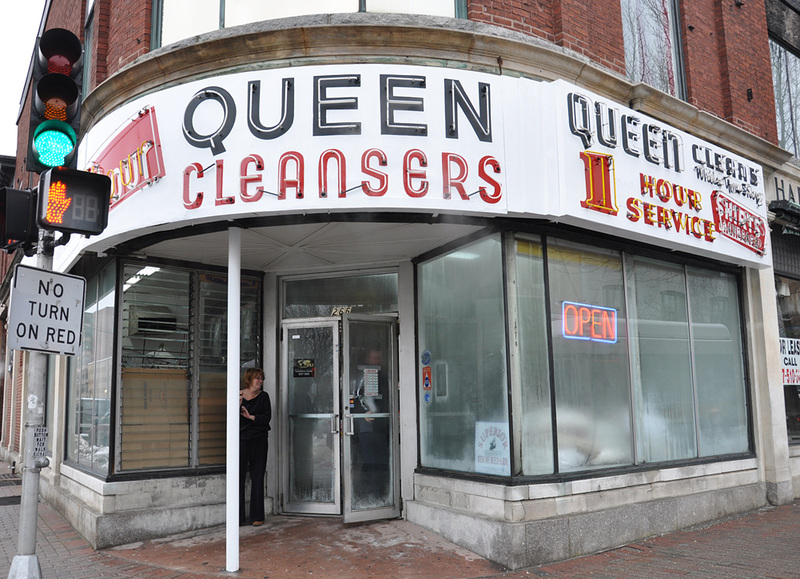 By 2011, the store was vacant and the sign was gone. Olympic Sporting Goods & Trophy opened in 1938. 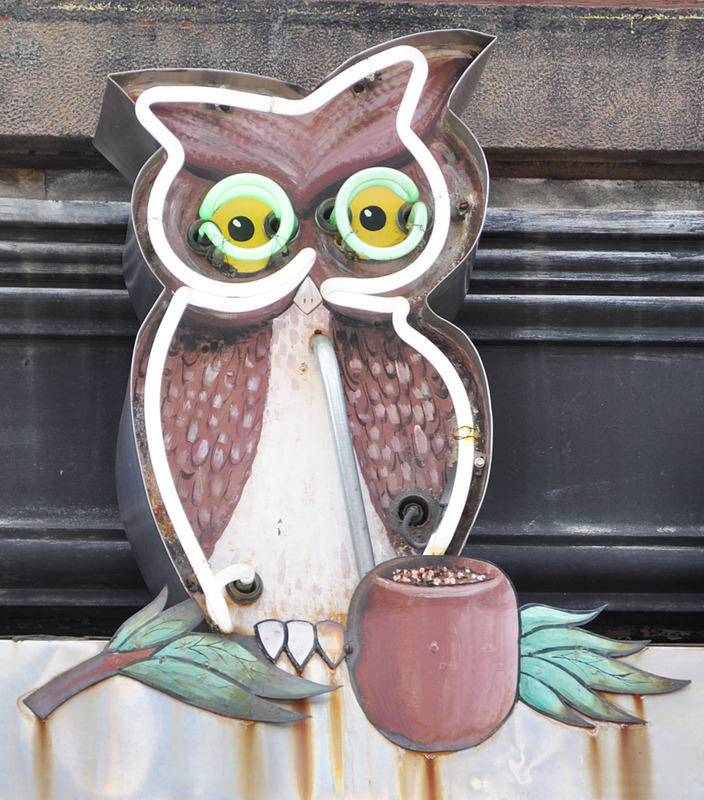 This sign was obviously from much later. This photo is from 2006. 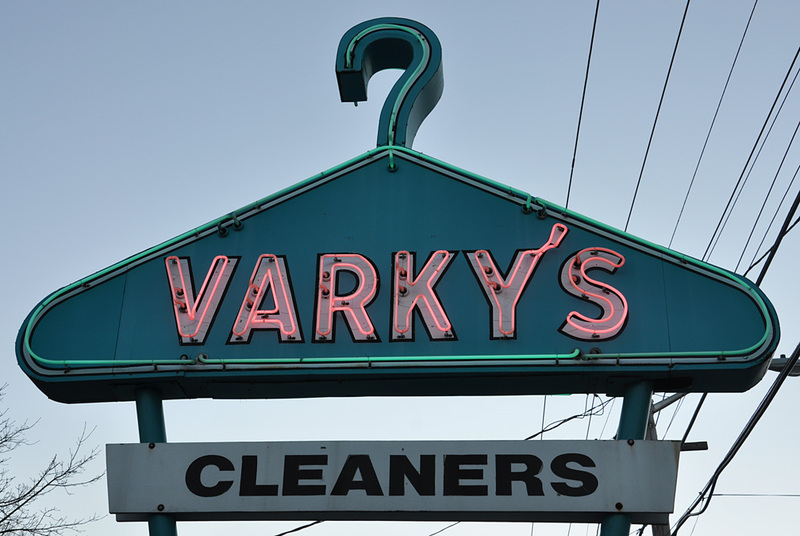 By 2011, the business had closed and the sign was gone.